Hi, Glamazons! I've been using detanglers ever since I started bleaching and coloring my hair. Detangling gently is important so as to avoid hair breakage and split ends. I actually used to have one from a popular brush company and I haven't had to change it for two years until Hairfood let me try their Cacai Brush. Just when I thought detanglers couldn't get any better, this product proved me wrong. 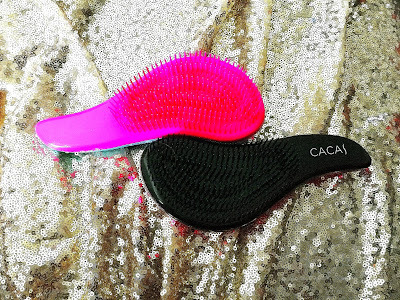 So let me tell you exactly what I love about the Cacai Brush. Let's start with the colors, you can get the Cacai brush in 2 colors-- Metallic Magenta and black, and Dainty Blue and Pink. Both colors are gorgeous. I have one in blue to take with me when I go out and one in magenta for home. 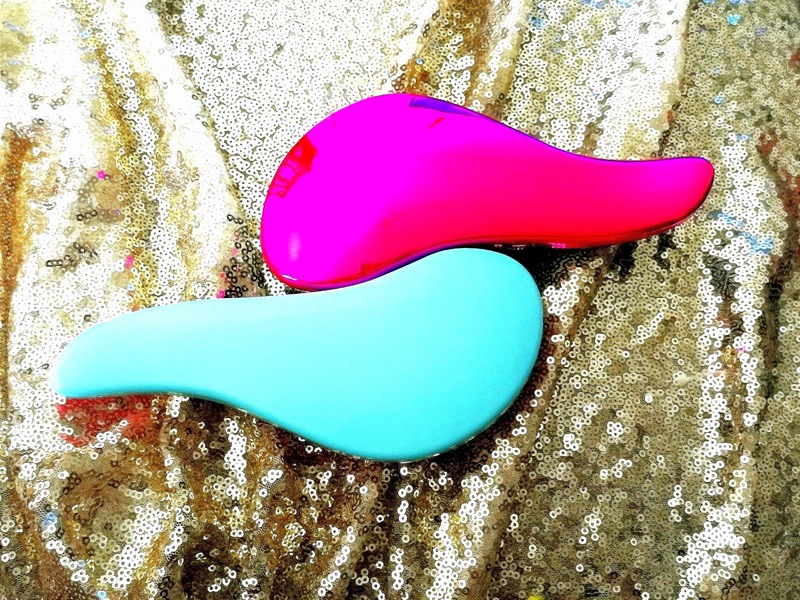 A curved one that fits into your hand perfectly and lets you have more control as you brush out the tangles. The one I own doesn't have a handle and I never realized that something as simple as a handle makes a big difference. My old detangler has fallen off my hand while brushing so many times, which is why I really like having something solid to hang on to. I actually prefer the Cacai brush over my more expensive detangler now because even with the handle, it weighs practically the same, if not lighter, than my other detanglers. The sleek and beautiful design lets you brush in style without the added weight. 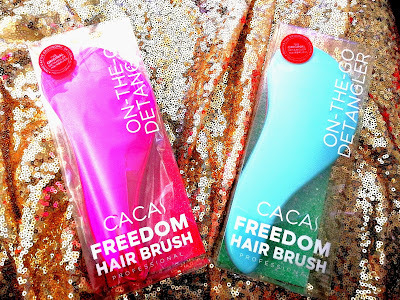 Compared to other detangler brands, the Cacai brush retails for only 549 pesos while other brands go for 700 pesos or more. It lets me brush my hair even when my hair is wet. The usual brushes out there will not only snag on your knots but cause breakage. For bleached and processed hair like mine, it is especially important to be able to comb through the tangles without damaging my tresses. My hair simply needs extra care. I start at the bottom half of my hair to get rid of the knots then gently work my way up. Combing my hair this way really just prevents breakage for me and once I've managed to untangle all the knots, the Cacai brush glides through my mane smoothly without any unpleasant hiccups. This is a great item to give and receive especially if you or the person you're planning to get it for has processed hair. Since I started using this type of brush I've never had to deal with split ends and impossible knots! So go get yourself a Cacai Freedom Brush and see how something as simple as a detangler can give you happy hair days. 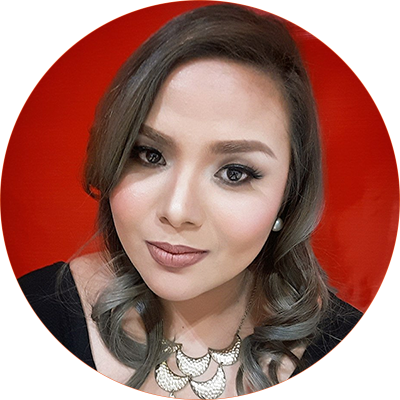 Pau Ruta is a self- taught MUA and beauty enthusiast who wants to encourage positive self-image, self-love, and confidence.